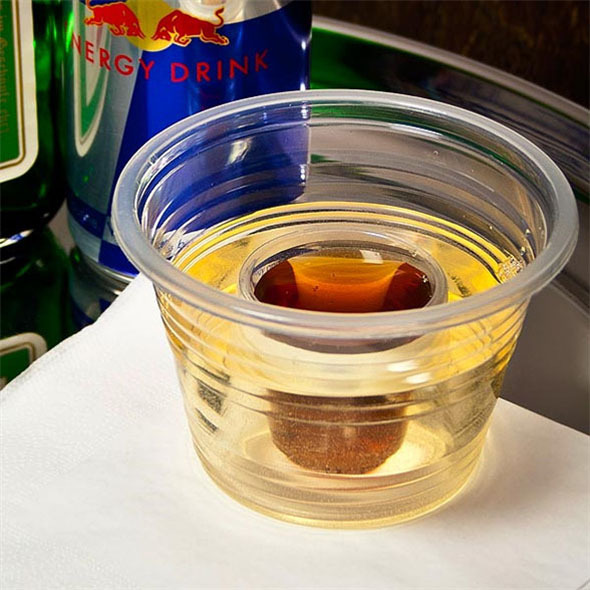 Jager Bomb Cups | Pre-Moulded Cups for Jager Lovers! Do you love Jagerbombs? 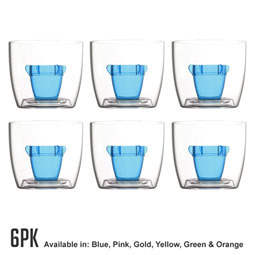 Are you sick of faffing about with separate cups and struggling to get your head around this whole 'glass within a glass' nonsense? Well good news, Jager fan - we've found the perfect solution. 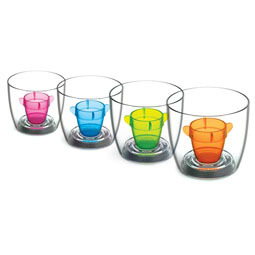 These clever Jager Bomb Cups are specifically designed to hold your favourite alcohol/energy drink combo. 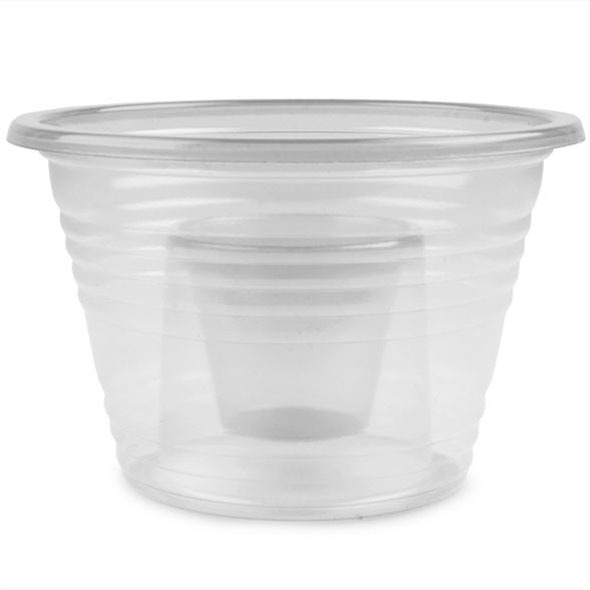 The big cup has a smaller cup moulded into the middle, so you'll only ever need one receptacle for your drink of choice! Great for other 'bomber' drinks too! 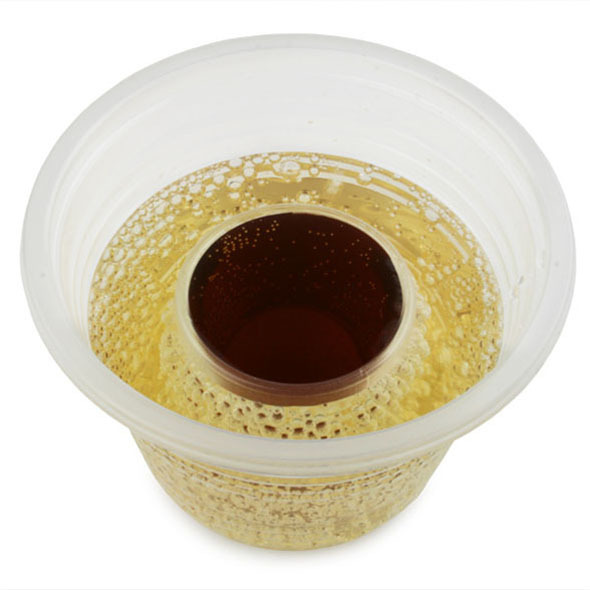 This pre-moulded cup is specifically designed to hold the nation's favourite tipple: the Jagerbomb! Simply fill the cup with Red Bull or some other energy drink, and fill the smaller cup in the middle with a shot of Jagermeister. Done that? Good! Now drink it. See how easy that was? 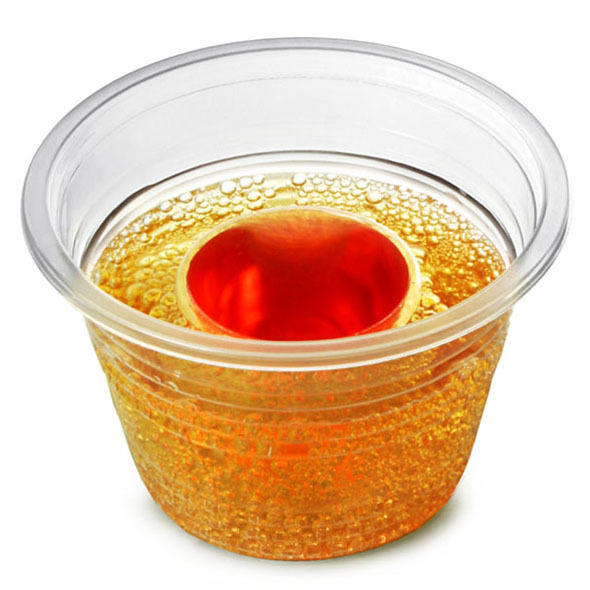 The Jager Bomb Cups save on washing up, and they make preparing Jagerbombs as simple as can be.